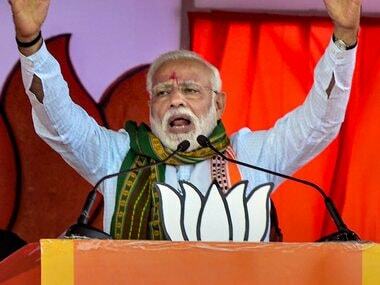 New Delhi: Prime Minister Narendra Modi on Thursday asked cooperatives to venture into new business areas like beekeeping and seaweed farming to help farmers double their income by 2022 and boost the rural economy. Modi also emphasised that the 'cooperative spirit' should be kept alive and strengthened. 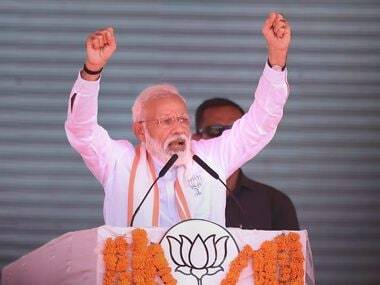 Addressing the birth centenary of Maharashtra-based cooperative leader Laxman Madhav Rao Inamdar, the Prime Minister said "It is natural for the cooperative sector to grow and shine in India. There are several sectors where the cooperative sector can help make a positive difference." He asked cooperatives to assess how farmers' income can be doubled by 2022 through their movement. "See what best practices to adopt and give up the old ones and move ahead," he said, while asserting that rural India should not be left behind in the growth path. 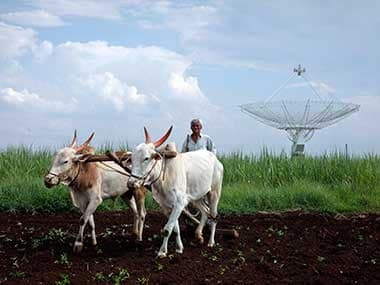 Stating that farmers are facing many problems, Modi said there is a need to establish a system to ensure farmers buy and sell at wholesale rates. "Today, farmers buy at retail rate and sell (their produce) at wholesale rates. Can it be reversed? If they buy (inputs) at wholesale rates and sell at retail price, then nobody can loot them, not even middlemen," he said. 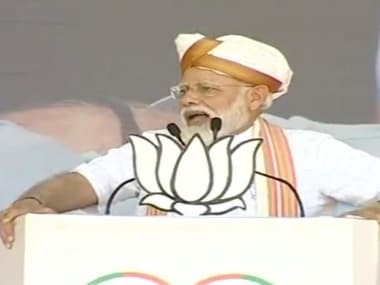 Farmers associated with dairy cooperatives have grown as they buy and sell milk at wholesale rates, Modi said adding that farmers would not have earned more had they sold their produce to private firms. There is a need to build such cooperatives to ensure better income to farmers, he added. Observing that cooperatives are mainly present in sugar and dairy sectors, the Prime Minister said the cooperative system suit to India and there is a need to foray into new areas. He also gave examples of sectors in which cooperatives can help farmers in raising additional income. For instance, he said, there is demand for neem oil for coating of urea fertiliser and woman farmers can collect the key basic ingredient required to make the oil. Another area is beekeeping, where farmers can bring 'Sweet Revolution' through cooperative movement. It is not only honey but there is a big market for bee-wax world over, he said. Even in fishery sector, additional work can be provided to fishermen during off-season by encouraging them to go for seeweed farming. Modi said there is huge demand for seaweed in pharma industry and its juice can be used to boost soil health. "Cooperatives can bring change in rural economy through small initiatives like this," he noted. The Prime Minister also asked cooperatives to self-reflect whether the "cooperative spirit" has got lost in its legal structure. It is important to keep the spirit intact, he added. contributed immensely to the nation through cooperatives, Modi said. "The first success mantra of cooperative is that the leader works behind the scene taking everyone along." Inamdar led cooperative movement and formed 'Sahakar Bharati' way back in 1979 in Mumbai, Maharashtra. The Prime Minister also released two books on Inamdar and other nine important leaders of cooperataive movement. He also gave momentos to seven cooperatives for excellent work. Agriculture Minister Radha Mohan Singh and two minister of states, Krishna Raj and Gajendra Singh Shekawat, were also present.